There's a plush property on Amba Ghat near Kolhapur and it reminds us of a villa right out of a storybook. Nestled amidst foliage & beside a riverside, Kyriad Prestige Riverside has shed canopies and wooden verandas meant for a relaxed holiday. 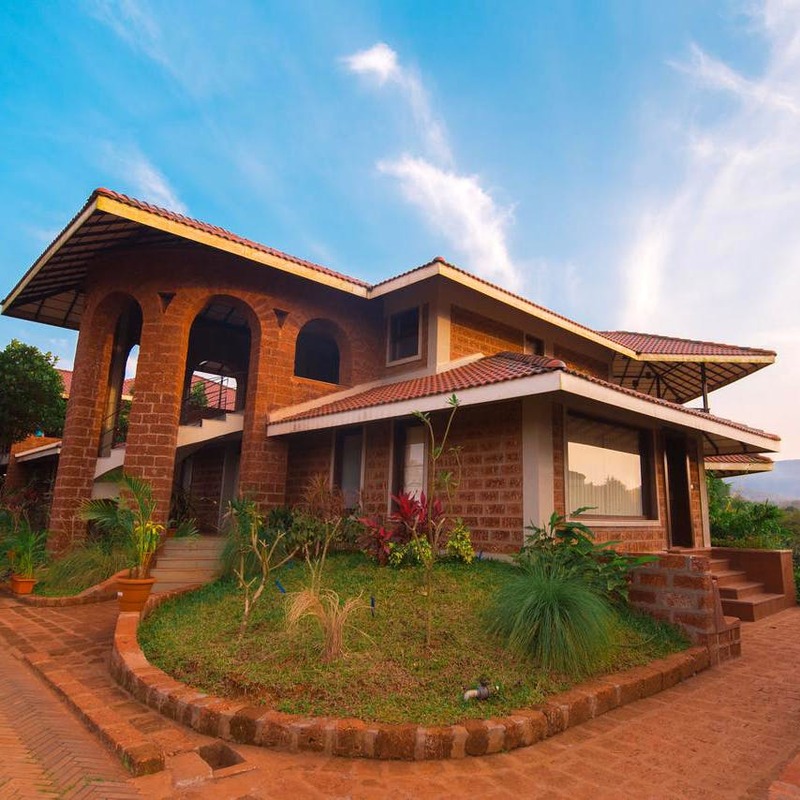 The location of this 3-star bungalow is extremely beautiful. Surrounded by greenery and a riverside, the view of the hotel is picturesque, especially during sunrise and sunset. The sprawling verandas are where you can chill most of the time and enjoy the spectacular views. Lovebirds, you can spend some quality time together in this romantic hotel and have the time of your life. Don't worry, the stay will not burn a hole in your pocket as the tariff is not unreasonable. You can choose between the studio room which can accommodate up to three people easily and the suite rooms which are offered at a slightly higher tariff. The good news is that unlike many other resorts and properties, this place accepts digital payment too. You can pack your breakfast from the hotel and set out for a sight-seeing journey as well. You can travel to many places in the vicinity such as the Chandoli National Park and the legendary Jotiba temple. The drive to the location is a journey in itself as you can see the famous Ratnagiri-Kolhapur hill range. Amba Ghat is known for its dense foliage and roadside eateries that serve authentic spicy cuisine. Sip, dine and wine at the modern restaurants offering different cuisines if you are in the mood to try something fancy. You can also enjoy a quiet staycation and not get out of the room at all. Stay in while you order room service. In a nutshell, the place goes out of its way to make your stay happy and comfortable. Facilities like swimming pool, spa etc are not there despite the brochure mentioning its presence. We'd love to be able to relax by a pool and enjoy the serene surroundings. Did you know the resort is a great option for parties and corporate get-together? Go, check out their party packages and host your event.